I would like to thank Danny Cottrell for the beautiful swimming pool he installed for us. It looks totally amazing and we are so pleased with the result. 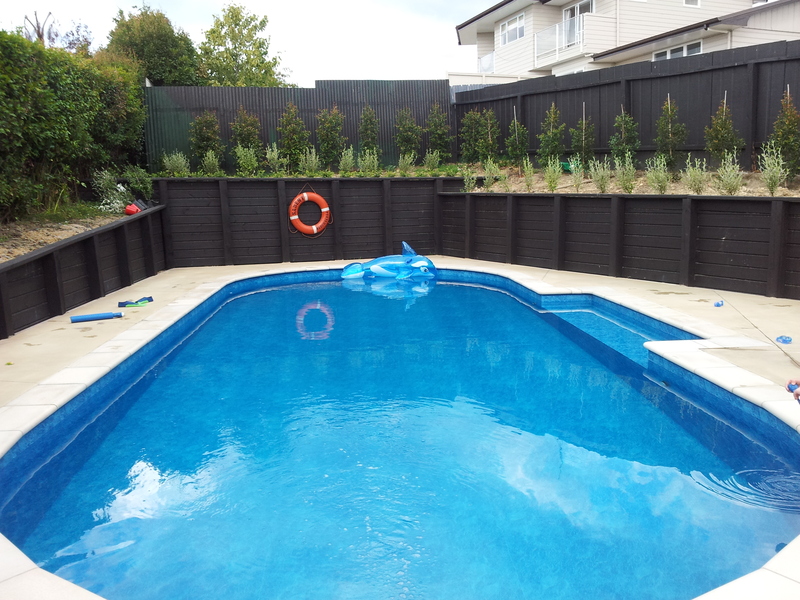 We wanted a large family size swimming pool so he custom made a 10m pool for us and it was by far the best value for money around. It was great having all the available choices as far as shape, colour, depth, salt/ozone chloronation options, coping stones, steps, lighting etc. etc . I thought this was something only available to the high priced concrete pools so it was great being able to design it ourselves so it looks unique to our home. Danny was truly a pleasure to work with and we have already recommended Finishrite Pools to friends and he is now installing their pool as well. It totally feels like we have our own resort in the backyard and to confirm it my 7 year old’s friend came round for a swim last week and said it was “PARADISE”! Mr and Mrs Brown, Cockle Bay Auckland.